The Independent Property Managers Association (IPMA) has adopted a new name and logo. 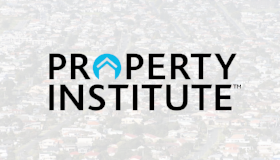 From today, the organisation will be known as PROMINZ which is short for the Property Managers Institute of New Zealand. On this, International Women’s Day, the Property Institute of New Zealand is proud to be able to announce two new initiatives to recognise and promote the role of women in our industry. The Property Institute of New Zealand and the New Zealand Institute of Valuers is taking a very cautious and balanced approach to the tax working group proposals for a comprehensive Capital Gains Tax. PINZ Inquiries following Chief Executive’s departureFrom today, the Property Institute of New Zealand’s Communications Manager will be the first point of contact for media. Property prices are falling, and those who have to sell or have problem properties are feeling the pain. The remaining supply of new apartments for sale in Auckland has dropped by around 20 percent, and that could lead to more smaller apartments in the region. Chinese investors' interest in New Zealand property has already been dented by the foreign buyer ban introduced by the Government, a Chinese real estate website says.